The Halloween season is such a festive time of year. October is a magical month for children. Everyone is settled into their new school routine, the trees are changing color, and one of the most fun holidays is around the corner! Halloween, with its scary motifs and creative costumes, is acknowledged in many countries, but it’s probably the most celebrated in the USA. Your au pair will be excited to experience a classic Halloween, like what they see in the movies. Here are some ways your au pair can help your family make the most of this unique holiday. Store-bought Halloween costumes can be expensive and are often only used once. Why not have your au pair help your child make their own costume? Even better, your au pair can create a themed or matching costume set for them and the kids. After Halloween, ask your au pair to make a costume box and store it in the kids' play area. This way, your little ones can flex their imaginations all year long. Have your au pair supervise your children as they carve their favorite Jack-O-Lantern pattern or paint a pumpkin. This is a great activity for rainy days or for entertaining the kiddos while you sneak out for some ‘me time’. After carving the pumpkins, teach your au pair how to roast the seeds while sipping on a pumpkin spice latte. It’s likely they’ve never done this before! 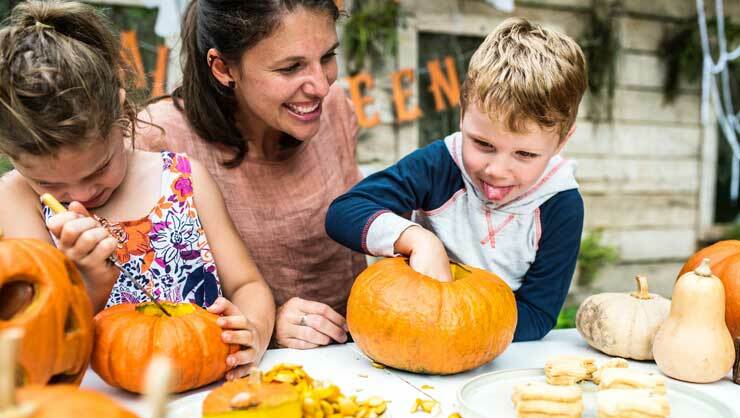 Your au pair will love carving pumpkins with your kids. Trick-or-treating is an American tradition that children absolutely love. It's their one night to shine and gather loads of treats. Encourage your au pair to join in the fun by chaperoning your children as they go door to door in your community. 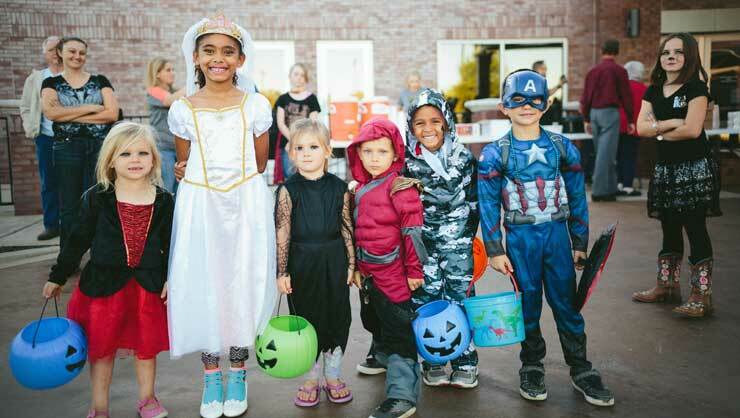 If your kids trick-or-treat early, have your au pair answer your door and pass out candy once your children are done scouring the neighborhood. After a night of gathering treasures, the only thing your child will want to do is face-plant into their pile of candy. Have your au pair help with going through the loot to make sure it's safe to eat. Remind your au pair that candy should be in its original, unopened wrapper. Unwrapped candy should be thrown out, and children should only eat fruit or homemade sweets from people that your family knows and trusts. Your au pair can also help with monitoring your child's intake of sweets for the many weeks after. Don't have time to bake cookies for your child's classroom party this month? Your au pair can teach your children how to make a traditional treat from their home country. Encourage your au pair to put a new spin on it by decorating the food for the festive season. Not only will your child get to learn about different cuisines, but they'll also be able to share that cultural exchange with their class. 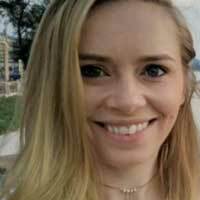 Allowing your au pair to be part of the family during this special month will give them great insight into American culture and will give you some time to enjoy a treat or two yourself. Just don't let your little one catch you stealing from their stash!